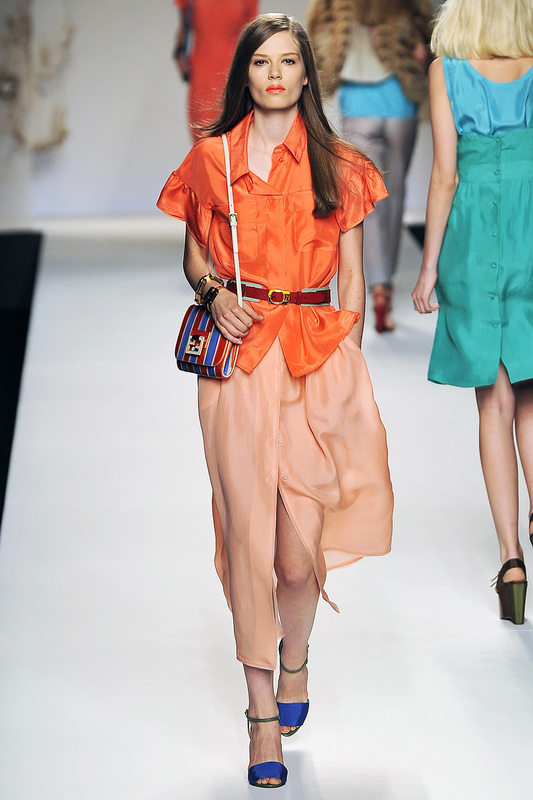 Loving orange and cobalt blue from Fendi. Also from Fendi, I’m loving this long skirt with fun pattern. Loving this lace mini and 70s hat from Alberta Ferretti. Loving this bold 1920s Parisian-style ensemble from Prada. Loving the colors and shapes at Jonathan Saunders. Leather jackets and military looks are still in at Burberry. Oh Jonathan Saunders. Great selections. Also a big fan of the long, floral skirt. Good choices!